Payment to be made through BHIM UPI, Debit Card, Credit Card or Wallet within the “PhonePe” option on Niki.ai checkout. For users paying through BHIM UPI, cashback is valid on transactions initiated and completed on PhonePe using a Phone linked bank account. This offer will be applicable on any orders placed on Niki.ai App. 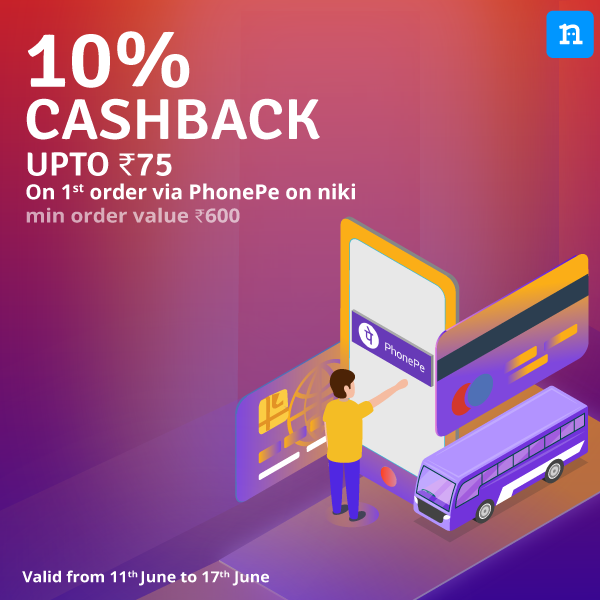 Cashback is valid on first order via PhonePe on Niki.ai App during the offer period. On Niki.ai, make the selection and proceed to pay. This offer might not be clubbed with any offer made available to you by an issuer of any Debit Card or Credit Card or any bank for transacting on Niki.ai. PhonePe isn’t responsible for any offer beyond what is mentioned above. 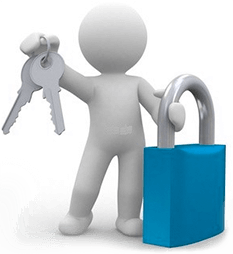 In case of dispute, PhonePe reserves the right to take the final decision on the interpretation of these terms conditions and also reserves the right to resolve the same as per the Terms conditions of any offer at its sole discretion. How to buy big Bazaar , Amazon orFlipkart vouchers through Niki? Where is bus and hotel. Mentioned? In tnc no where mentioned but in title it says.. niki also shows the same during payment..